There hasn’t been a whole lot of sewing going on around here, I have been pretty focused on a bigger project lately…we are building a house! It is a project that has been in the works since we bought some property back in 2012 and we finally broke ground back in March. It has been such a fun (and stressful) project. Up until now most of the work has been contracted out but recently I have gotten my hands dirty and we have been doing some of the work ourselves, so I have spent a lot more time caulking and a lot less time sewing. 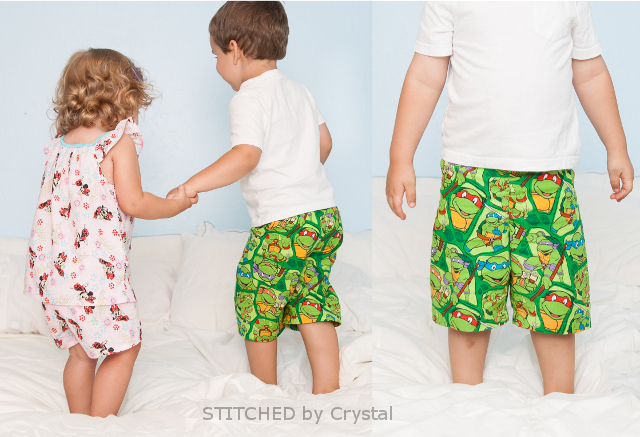 But I have managed to squeeze in a few projects, including these summer pajamas for my kids. 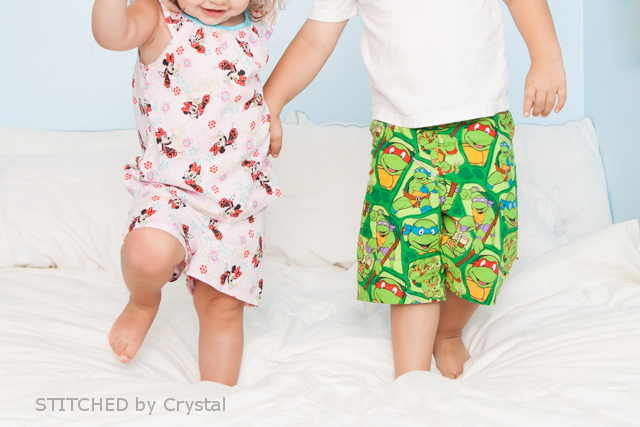 It seems like no matter how many pairs of jammies my kids have, it is never enough, or maybe I just need to do laundry more often. Either way, these jammies were a quick fun project and I love the results! 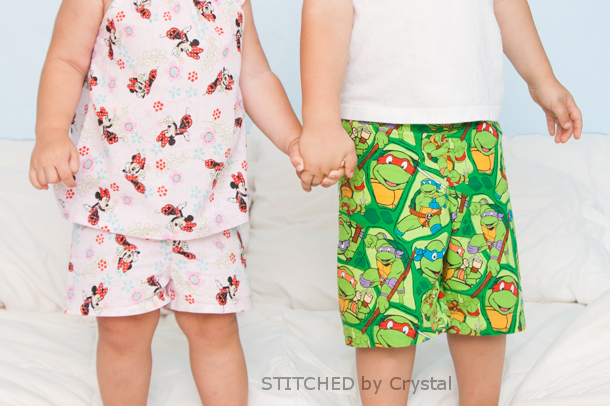 I took my kids to the fabric store with me and let them choose their own fabric for their PJs. I was not at all surprised with their choices. Em went straight to Minnie Mouse, this girl loves all things Minnie and even all things pink or red polka dot. A went back and forth a bit between Superman, Spiderman, and Star Wars, but once he saw the TMNT it was over, he had to have it! They both got a simple pair of shorts. 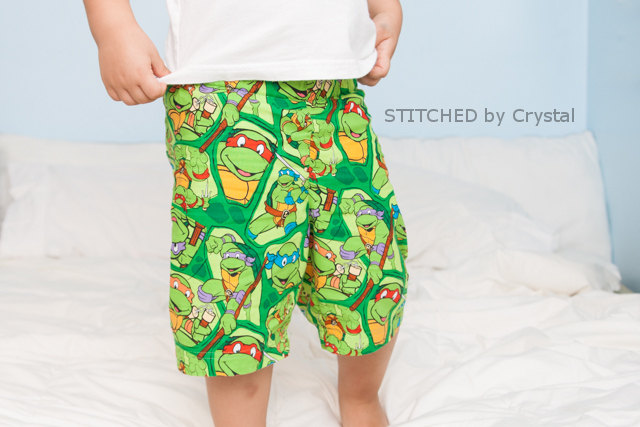 I made them using my tutorial from a fewyears ago, so easy and only takes about 30 minutes to sew up. Then I paired A’s with a t-shirts and made Em a night shirt to match hers. I used a shirt she already owns to get the sizing right and made a simple peasant style shirt finished with some fold over elastic at the neckline. 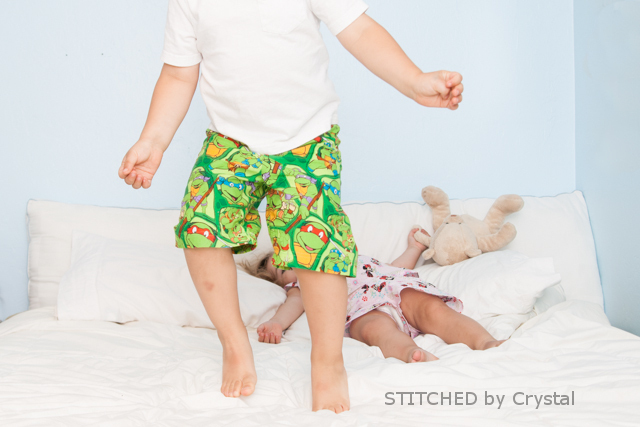 Then we broke in the jammies with some jumping on the bed! 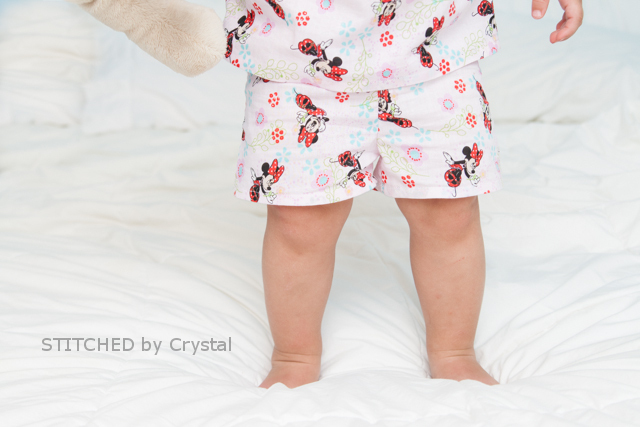 We never seem to have enough pajamas either. How does that happen? 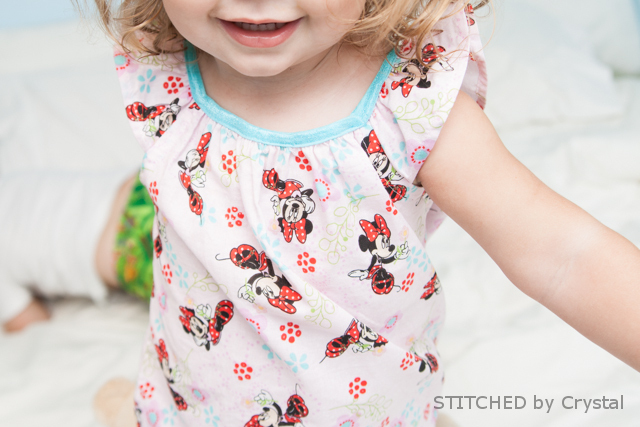 I made the girls some pajamas in the winter, but I think it's time I make them some summer jammies!